Available in 16oz, 32oz & gallon sizes (not pictured). 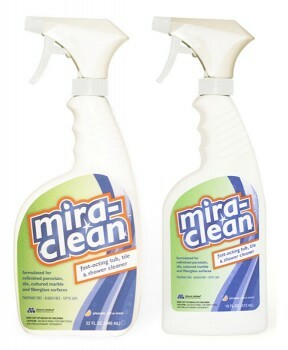 Mira-Clean is only available through your local Miracle Method office. Click on Find a Location or call our toll free locator number, 1-888-271-7690 to reach the nearest Miracle Method professional.